Posted in Beer. Tagged Moon Under Water, seriously Kamloops someone stock this, Victoria. 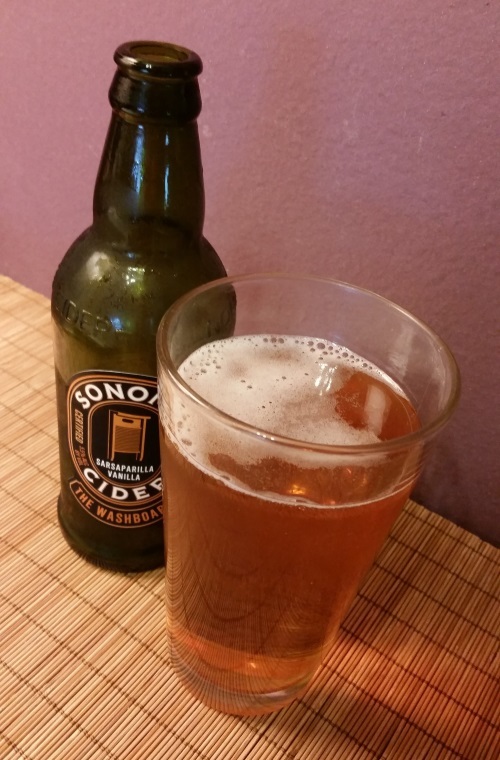 With the summer coming in and the weather becoming more reliably nice, I’ve started on my quest to visit local cideries in person, to get a feel for what they’re like beyond just the bottles on the shelf. 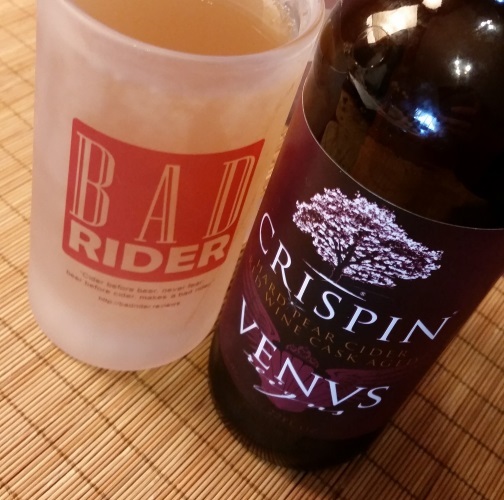 Bad Rider’s very first road trip report covers three cideries in the Port Townsend area: Alpenfire Cider, Finnriver Farm & Cidery, and Eaglemount Wine and Cider. My road trip companion was my mom, who recently got a new car and has correspondingly called dibs on any and all road tripping that needs to be done for the foreseeable future. All three of these cideries are out in the boonies, an hour-long ferry ride and another hour of driving from the civilization of my Seattle condo. Each at the end of a dirt road, surrounded by forest and bucolic farmland, quiet and peaceful in the sunshine. Each has a tasting room: Alpenfire’s and Eaglemount’s are open Friday through Sunday 12-5 and Finnriver’s is open daily 12-5. Moving generally north to south, farthest to nearest, we visited Alpenfire first. 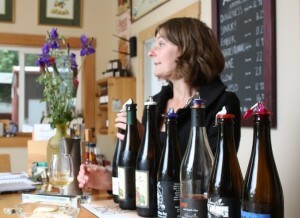 At the time, they had a 7-cider tasting flight for $5, with ciders, vinegars, jams and jellies also available for sale. The Alpenfire ciders we tasted were Dungeness, Spark, Ember, Pirate’s Plank, Glow, Calypso, and Smoke, in that order. Our host for the tasting, Melanie, said the first four were offered in order from sweetest to driest, but perhaps their Dungeness of prior years was much sweeter than this year’s, as I would have placed the bottle we tried somewhere between Ember and Pirate’s Plank rather than on the sweet end of the scale. 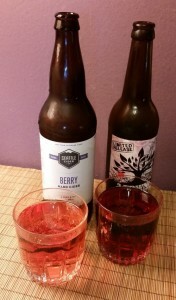 Glow and Smoke I’ve already reviewed, but it was a pleasure to introduce someone else to them firsthand, and Calypso is an interesting blackberry cider aged in rum barrels — I got the blackberry in the taste, my mom got the rum. Finnriver was the busiest of the three, and they apparently have pizza and live music on Sundays, starting later in the summer. Their tasting was the most bountiful — tragically, I’ve misplaced my notebook with almost all the notes I took from the trip so I’m working entirely off my faulty memory, but I think we must have tried 8-9 of their offerings (artisanal sparkling, golden, black currant, honey meadow, cyser crew select, blackberry apple brandy, raspberry apple brandy). Their normal tasting fee is $5 per person, but Rick at Finnriver was very kind and waived it for us given Bad Rider’s “pro” status (yes, I was charmed). 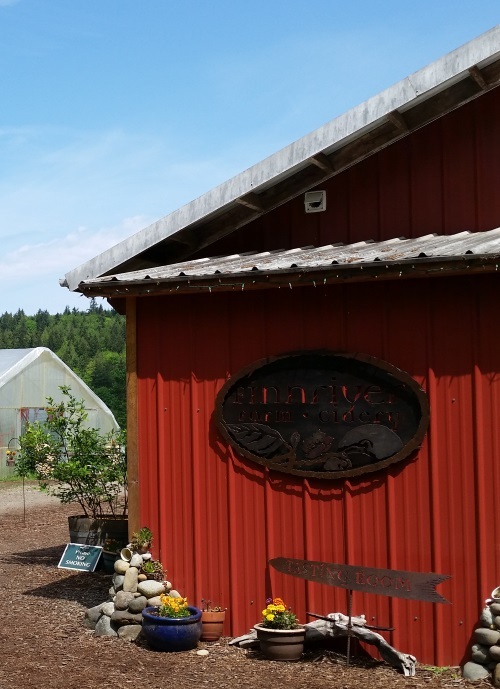 In addition to ciders, Finnriver offers a number of fruit-based dessert wines and port-style spirited wines. There’s really nowhere to go wrong with Finnriver ciders in general, though I discovered my mom is really not one for meads, cysers, or honey-flavored ciders, and I am really not one for the raspberry dessert wine despite its incredible, ambrosial smell. The highlight: The pear wine with apple brandy and cacao. Does that not sound amazing? Whatever you’re imagining, it’s better than that. Eaglemount’s tasting room, feat. cider notebook (RIP) in the hands of yours truly. 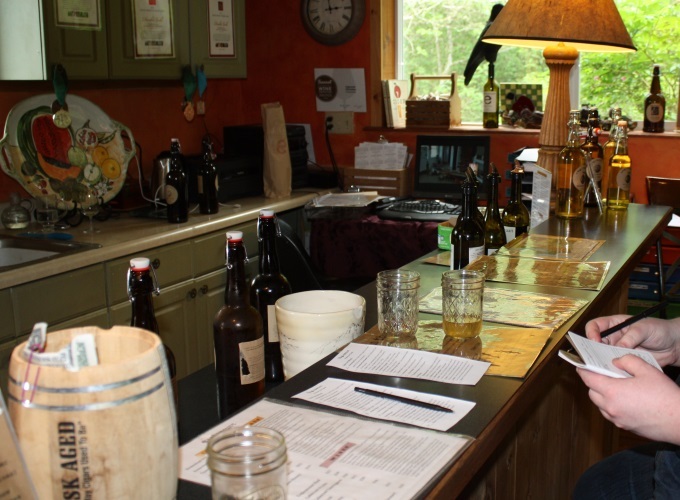 Eaglemount was the most quiet and withdrawn of the cideries — its narrow access road winding through a stand of trees and tall grasses to an isolated tasting room. It’s smaller than Finnriver’s, technically a bit larger than Alpenfire’s but enclosed in a building where Alpenfire had an open patio area. 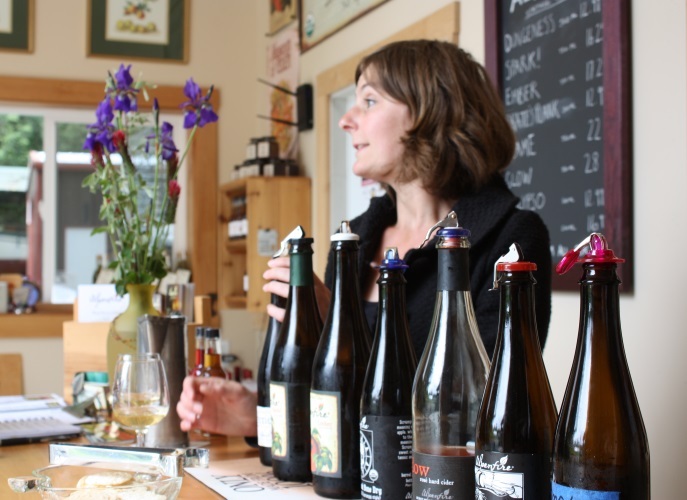 Eaglemount had 11 ciders and 5 wines available on their tasting menu when we visited, with a tasting fee of $5 per 5 selections. 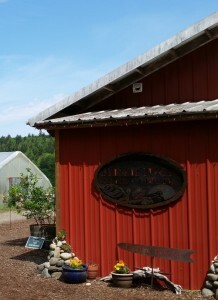 In addition to cider and wine, they also have some local cheeses for sale. Having already reviewed their Homestead Semi-Sweet, I went for the Homestead Dry, Cyser, Raspberry Hopped, Apple Mead, and Quince Mead. Everything was interesting, and I got a similar sort of cool, foggy, stony sense from several of them despite the individual variations in flavor. Eaglemount has trees on their homestead from the late 1800s, which makes me think that common thread in the taste of the various ciders is perhaps reflecting the specific terroir of the area. Posted in Cider. Tagged alpenfire, bad rider road trips, dispatches from the orchard, eaglemount cidery, finnriver cider. Not quite a full glass per bottle, but there’s a lot of ’em. I was skeptical, I’ll admit it. 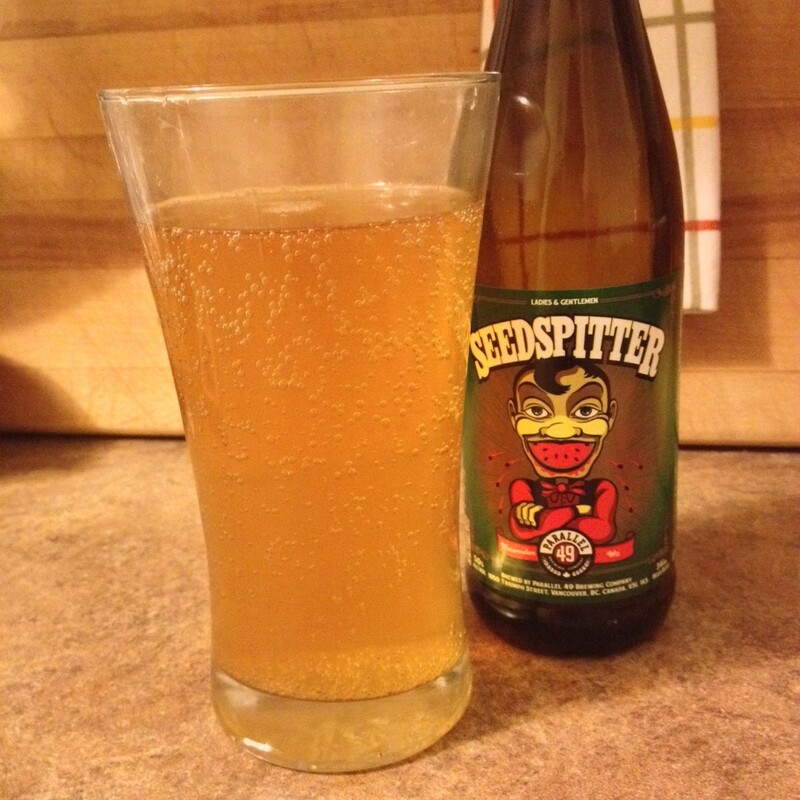 A good beer that really tastes of watermelon didn’t seem possible to me. But, it is and Seed Spitter’s it. This stuff is really nice as Kamloops creeps into the 30s and I start spending my time in front of the fan whenever I’m in my apartment. The beer gets a bit of natural sweetness from the watermelon, but mostly captures the slight sharpness of the fruit as you take those last bites closer to the rind, as well as the juicy, refreshing quality of the melon. 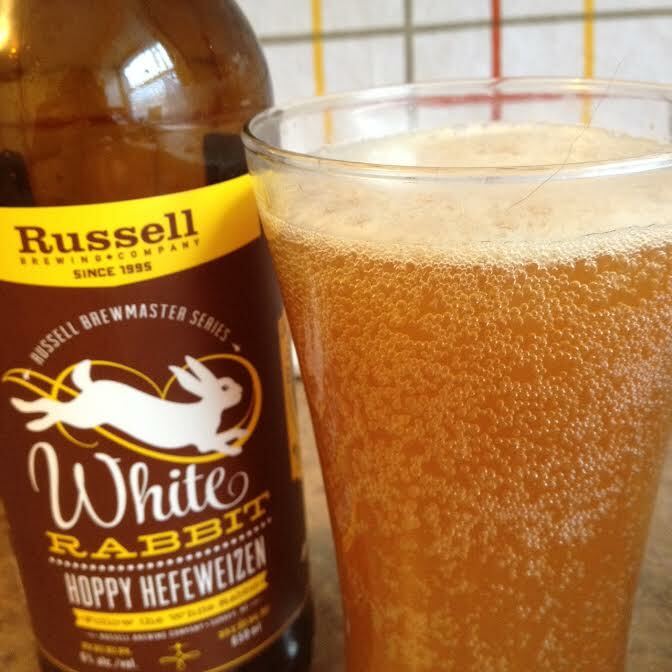 There’s a bit of wheat to finish it off, which plays nicely with what comes first, and then you’re done. Wham, bam, simple and super light and very summery. I tend to hold off on buying six packs because a) who has time to dedicate to six of one beer when there’s so much craft out there and b) a lot of craft’s just get to be too much after a couple bottles. This probably won’t last past Monday — at the latest. Posted in Beer. Tagged Parallel 49, six pack, Victoria. You smarter beer geeks are already laughing, but for the rest of you on the same page as me: Nothing, other than country of origin. 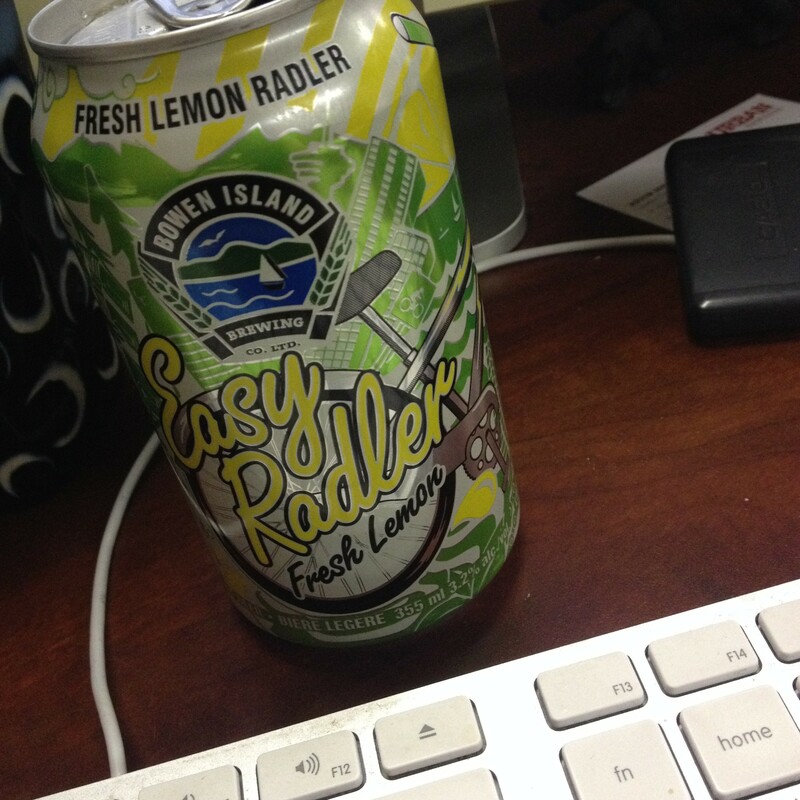 Per a variety of sources, radler is the favoured term in Germany, while shandy is preferred by the British. In both cases, it’s traditionally a combination of beer and lemonade, ginger ale or other mixer of your choose. The reason for the confusion is fair enough, I think. 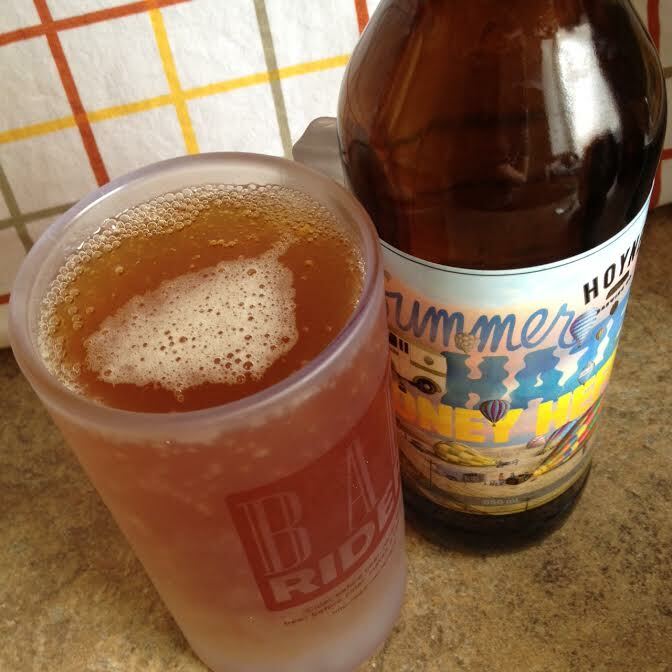 Every shandy I’ve ever had has been OK to dreadful, and my one radler experience — Parallel 49’s Tricycle Radler is one of the great summer beverages. I mean, it’s basically really good grapefruit juice that gives you a little buzz. Bowen Island’s offering make the shady-radler linkage clearer. Like other commercially available, pre-mixed shandies it’s lemon flavoured. Unlike most of the competition it doesn’t immediately taste like dish soap from the glass you didn’t rinse quite as well as you thought, so props there. But lemon’s likely to be more divisive, because the amount of sweet required to make a palatable mix is a lot higher than what seems to be required for grapefruit. The extra sweetness and a thinner mouthfeel more reminiscent of soda made Easy Radler feel much more of a piece with what’s coming from the bigger breweries, though it’s miles ahead in terms of flavour. At the end of the day, I’ll stick with grapefruit for my needs, but of the options out there this one’s not half bad. Posted in Beer. Tagged 355mL, Bowen Island Brewing Co., radler. Table saison, meet table cloth. 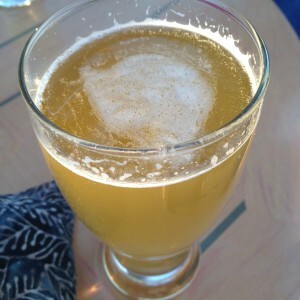 Table saisons (a.k.a. grisettes) are popping up fairly consistently this spring. Parallel 49’s excellent Brews Brothers 12 pack offered not one but two takes on the style, and now here’s another Victoria brewery with an offering. From what I understand, a table saison is meant to fill a place similar to that of a session ale — light, eminently quaffable, and made to be put away in large volumes. 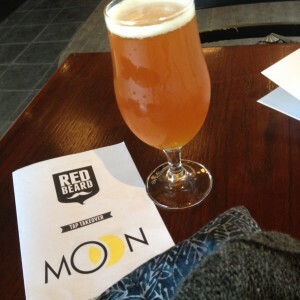 With a little more flavour than their session counterparts, I’m all for a table saison craze. 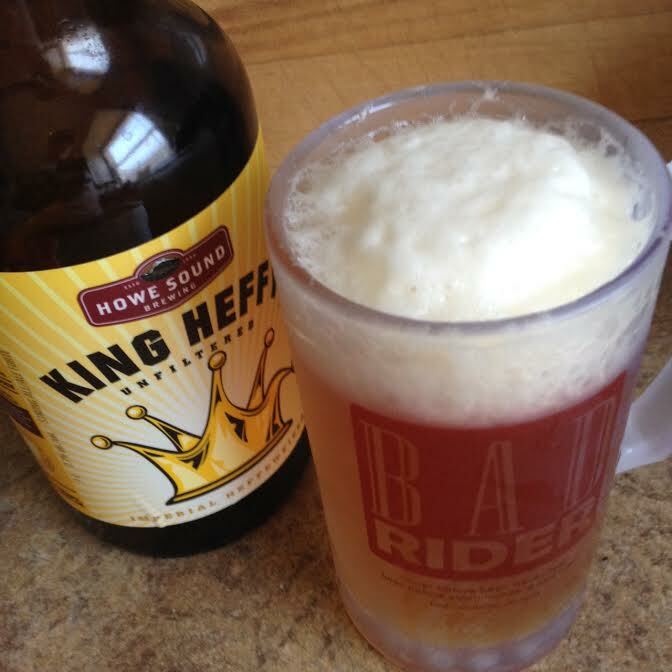 Please, brewers of B.C., I will take as many of these as you throw my way. Lighthouse’s offering is the second rhubarb-based beer I’ve tried from the company, and compared to last year’s Rhubie Rhubarb Ale, a big step up. Where Rhubie required a certain amount of straining to find the main ingredient, Jackline is up front. The beer captures both the tartness and bitterness particular to fresh rhubarb, rounding them out with some sweet wheat. Unlike some saisons I’ve tried (Central City’s excellent Detective Saison springs to mind), this one doesn’t go in for spicy notes, but the rhubarb consistently interesting on its own, giving the beer an almost citrus, almost sour quality all its own. Add in plenty of bubbles and a good, clean finish, and you’ve got an entirely refreshing brew. 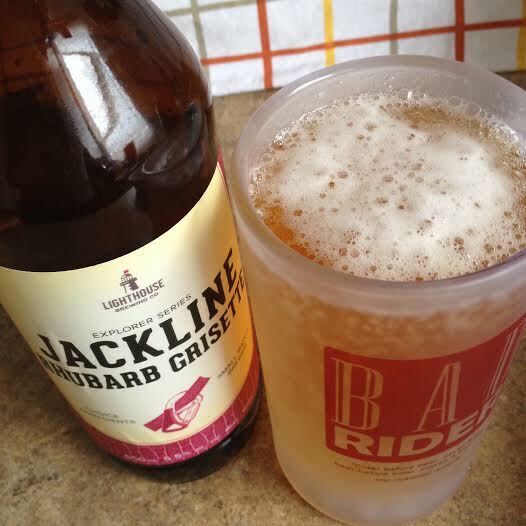 Really, you’ve got to give Lighthouse the nod for innovation in the field of rhubarb beer if nothing else. These guys are pretty much blazing the trail alone, and our pints are better for it. Posted in Beer. Tagged 650mL, Lighthouse Brewing Co., rhubarb innovation, Victoria.